Please sign up at the Lady Fishers Table if interested in attending any of these events or Contact Tracie Hollis. 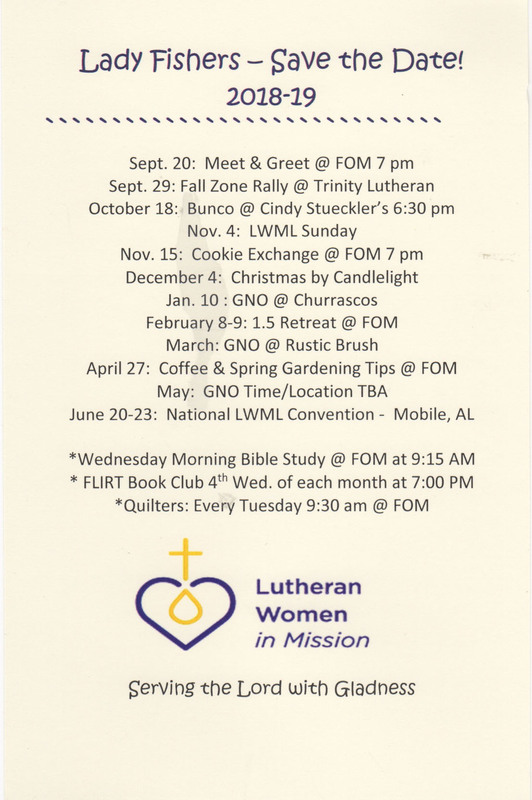 For a printable calendar of events, click here. For more information, contact Tracie Hollis.